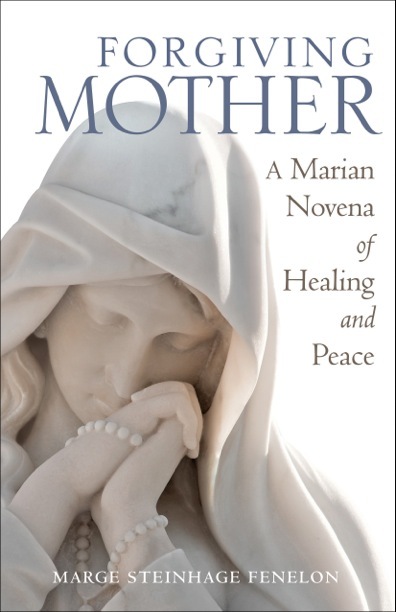 I’ve received my shipment of Forgiving Mother: A Marian Novena of Healing and Peace and it’s available right now in my Bookstore! It’s not even available on Amazon or Barnes & Noble yet, but you can get it from me right here, right now. What’s more, I’ll personally inscribe each copy for you with my signature and any special message you’d like to include. Marge’s book is a primer on forgiveness. It’s not easy to forgive, especially those hurts we know we’ll never be able to forget. […] Marge’s honesty and courage in sharing the harrowing details of the abuse she suffered from her mother as well as the redeeming power of the relationship she developed with Mary, Mother of God and Mother to us all, will encourage any reader who needs to find healing, forgiveness and hope in a difficult relationship. That others can see the value of Forgiving Mother in healing from any difficult relationship is an aspect of the book that I’d hoped for, but didn’t fully expect. Now that the book is beginning to circulate, I’ve heard others way the same thing Barb did: the book is applicable to many relationships and situations to both women and men. I’m humbled, grateful, and eager to get a copy into your hands so that you, too, can begin the process toward forgiveness, healing, and peace in the relationships that are difficult for you. Blessed Virgin Mary, Books, spirituality. Bookmark.